How come after 1 year, she looks like she’s aged 3 years? Stop that, child. At the end of the night, she realized (and felt guilty that) she’d taken photo booth pictures with her friend but not with her dad, so we got into the back of the line for the photo booth as the band packed up, the volunteers starting sweeping up and taking out trash bags, and the parking lot gradually emptied. The operator felt sorry for those of us still in line and let us go through. I asked her in the parking lot if she enjoyed her evening. Me: I wish we could have danced some together. Her: But I didn’t really want to dance. Her: Because it was crowded. 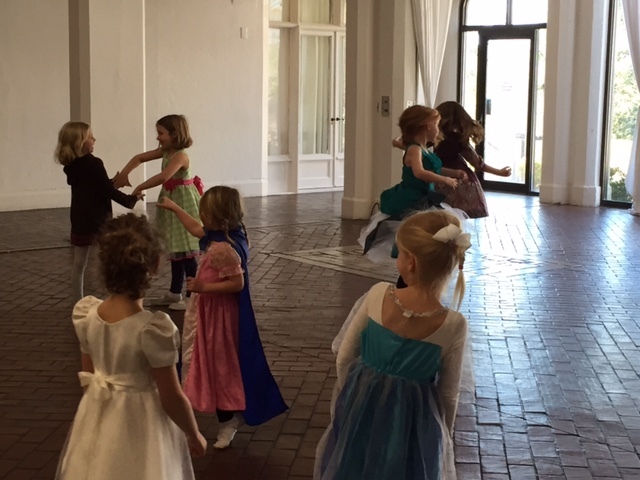 Me: So, if I want to ensure you don’t dance with anyone at an event like this where dads aren’t invited–say in 5 or so years–I just need to make sure it’s crowded, right? 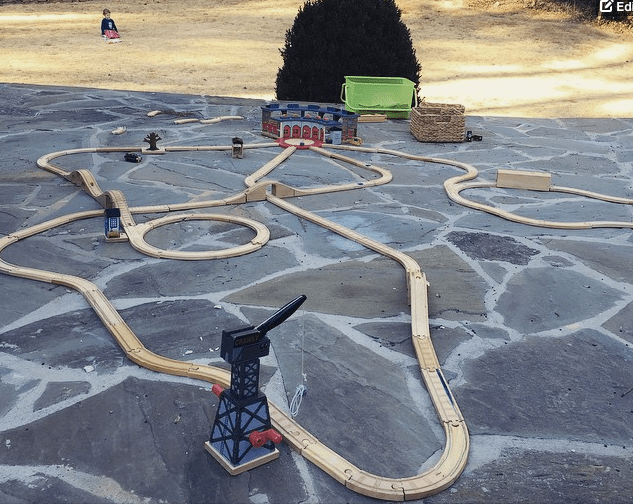 The next morning, I helped my 6-year-old boy build this, because it was nice outside, and he still likes building train tracks with me. Then, simultaneous haircuts at his favorite such place (because it’s “boys only”). 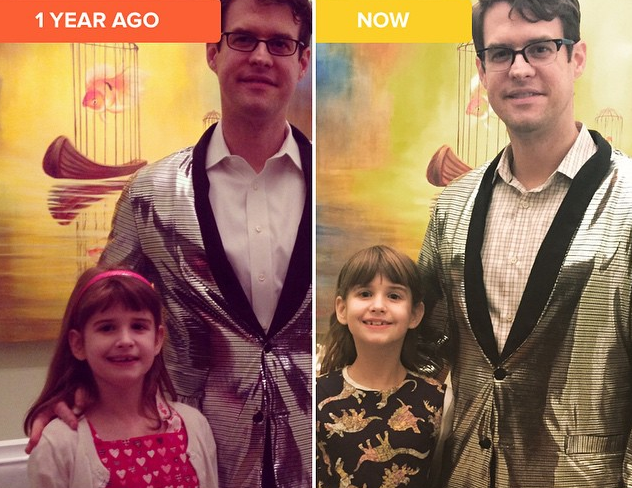 Our gym also has a dad-daughter dance, and last year, I took our youngest (who’s not yet in elementary school), but this year, I’ll be at the Dad 2.0 Summit, as they’re not on varying nights of the same weekend like again. 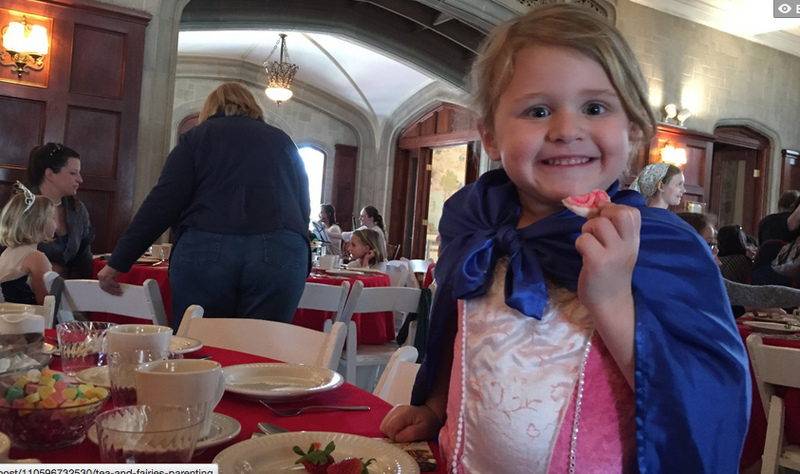 So, I took her to a “fairy tale tea” that one of my paralegals suggested doing on Sunday afternoon at Callanwolde Art Center. 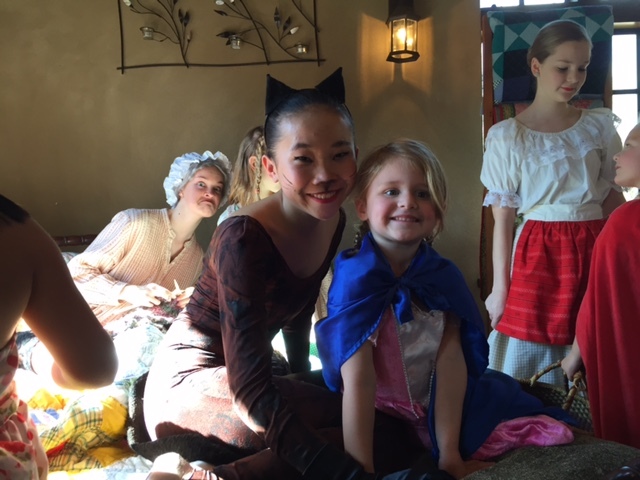 Despite living in Atlanta just shy of 20 years, I’d never been to this historic venue for fine arts performances, much less had tea while surrounded by little girls in costumes and leotards. My 4-year-old was INTO it. 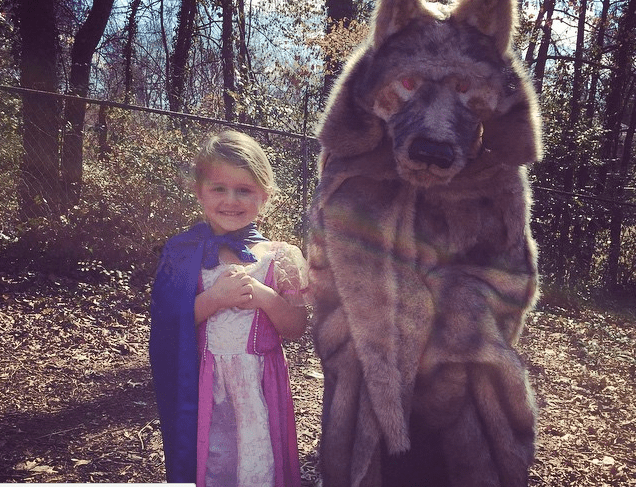 She wore a pink princess dress and the blue “little remedies” cape I got at a blogging conference last year. 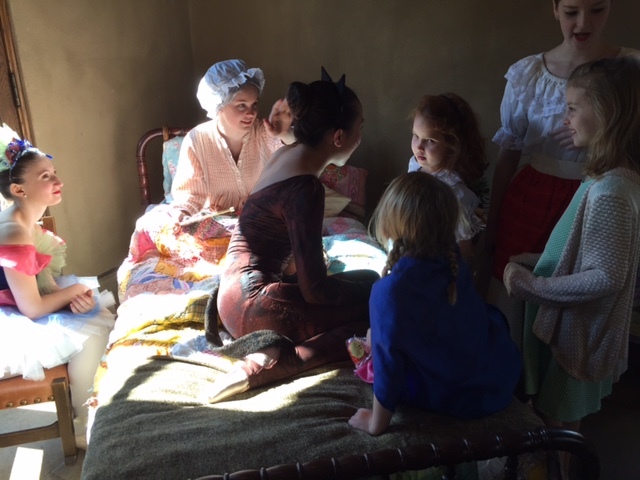 At one point, she noticed there was a large, open room off to the side, and a boy was playing piano in there, and one little girl was dancing while her mother took video. She asked if she could go out there and dance, too, so she did. 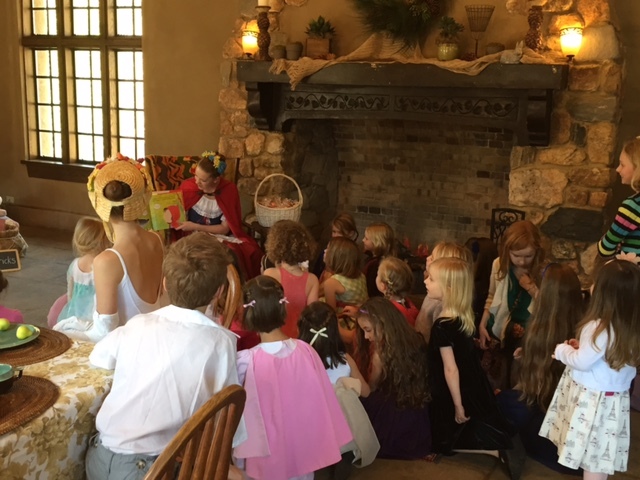 And then, little by little, other little girls went into this room and started dancing, until there were 19 of them. 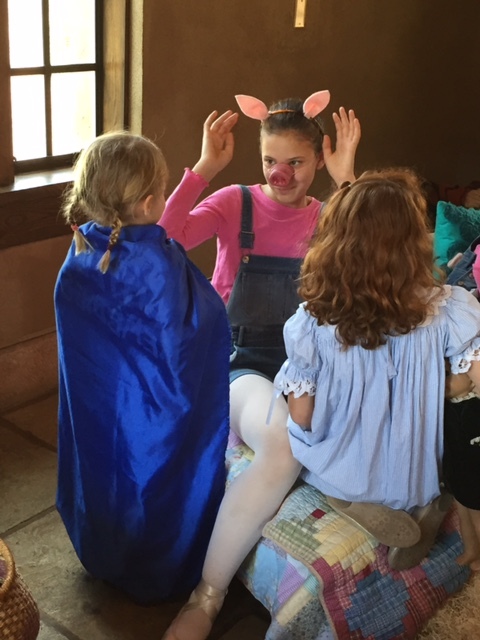 Then my girl led an analysis of the commonality between little girls in hoods and homesteading pigs vis-à-vis wolves with a very intrigued little pig. She then discussed the strangeness of the bedfellows a cat and a grandma can make. We were just heading out of the cottage and toward the parking lot when we spotted what appeared to be a menacing furry creature crouching in the woods. It had beady red eyes and stood nearly 6′ tall. I asked her if she’d like to approach it, and–I was surprised to see–she did. She continued to inquire as to the likelihood of the wolf’s discovering Little Red Riding Hood’s hideout for the rest of the drive home, until I told her Anna, her favorite baby sitter, would be at our house when we got there, so that I could take her mother to see a live performance of “The Elephant Man” at Act 3. And then I marveled at how privileged I am to spend a weekend watching these 3 little creatures stretch their imaginations and develop their personalities as they navigate their wonder years.